Since its conception in the late 1940s, the West Licking Fire District (formerly, the Pataskala Fire Department), has always been on the cutting edge of providing Emergency Medical Services. 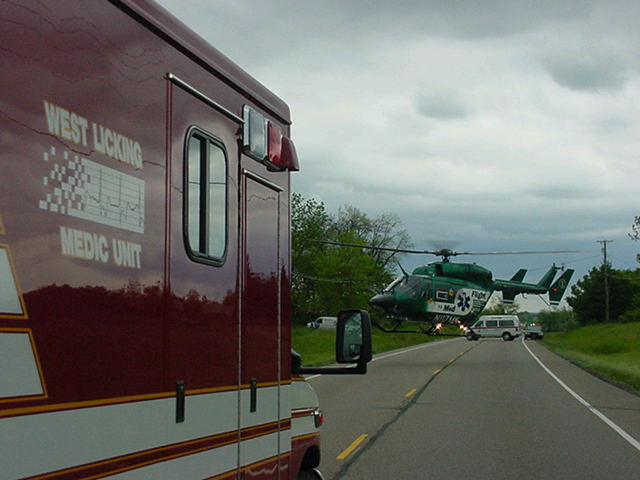 The Pataskala Fire Department was the first Licking County agency to provide emergency medical services. Each and every member was trained to Red Cross and Advanced Red Cross Standards. Members then obtained the State Trades & Industry EMT Certification. In the early 1970s, a new certification, Paramedic, was introduced. Several members acquired this certification, making the Pataskala Fire Department the only all-volunteer fire department in the state to provide Paramedic care to the community. Then in 1979, steps were taken towards the development of a Fire District. The organization teamed with the surrounding political entities to enhance the care and develpment of the West Licking Joint Fire District . Today, the community is protected by 100 dedicated Firefighter/Paramedics. 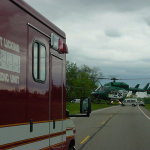 The Firefighter/Paramedics were involved in nearly 4,000 incidents during 2011, with many being transported to various central Ohio hospitals. The West Licking Joint Fire District continues to move forward. On January 1, 2012, EMS Billing was initiated. EMS Billing is a common practice for over 85% of EMS providers nationwide. For information regarding EMS Billing, please click on the EMS Billing Q&A. Please contact Station 1 at (740) 927-8600 for additonal questions or comments.